We are freeing stenography in an industry that is locked down, proprietary, and expensive. Open Steno is run by volunteers. Traditionally, getting started with steno cost thousands of dollars. We enable anyone to learn stenography for free. Learn more about us and our mission on our About Page. Court reporters have used stenography for over a century to write at over 200 words per minute, faster than most people speak. Stenographers stroke chords instead of typing keys, resulting in less movement and better ergonomics than typing. Steno chords can map to words, phrases, symbols, emoji, macros, and more. Plover is a 100% free, open source steno program that lets you use your keyboard as a steno machine. 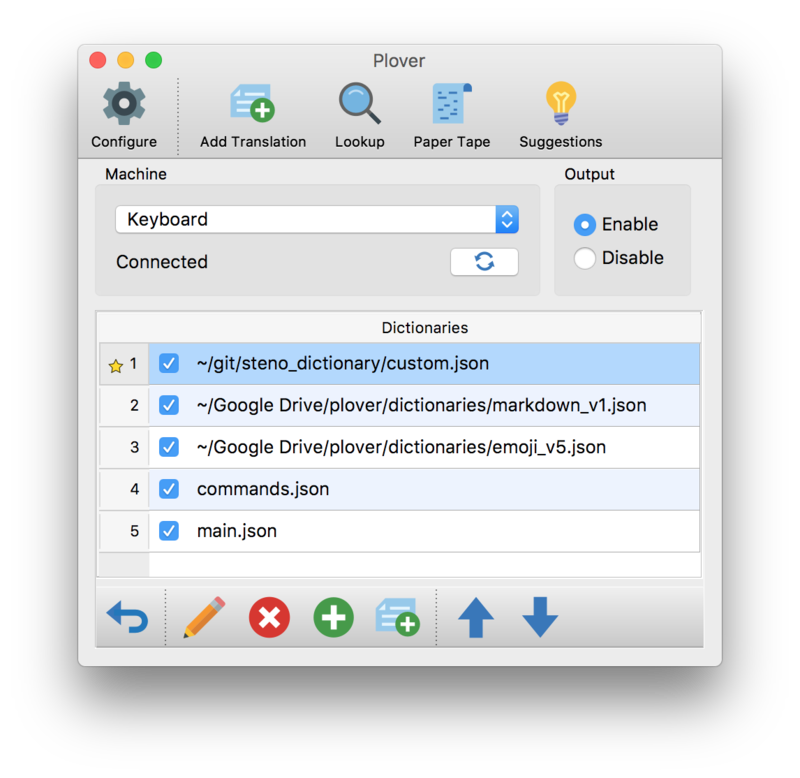 See our wiki page on how to get started with Plover. Try an in-browser demo to see what stenography is like. Professional steno machines cost thousands of dollars. The Open Steno community has introduced affordable beginner options. The cheapest options are replacement key caps or laser-cut pads for N-key rollover keyboards. Hobbyist steno machines are designed and sold by members of the community. Learn Plover, a free online textbook that teaches the reader Plover’s machine shorthand theory. A free typing game on Steam where you type lyrics in time with the singer. The community has collected and created many free learning resources so that you don’t have to go to school to become a stenographer.